"There’s nothing sexier than bronzy, glowing skin—sans the sun damage, of course. When you get the look right, it’s SO right. But get it wrong, and you risk looking like you had a run-in with an Oompa-Loompa (not pretty). 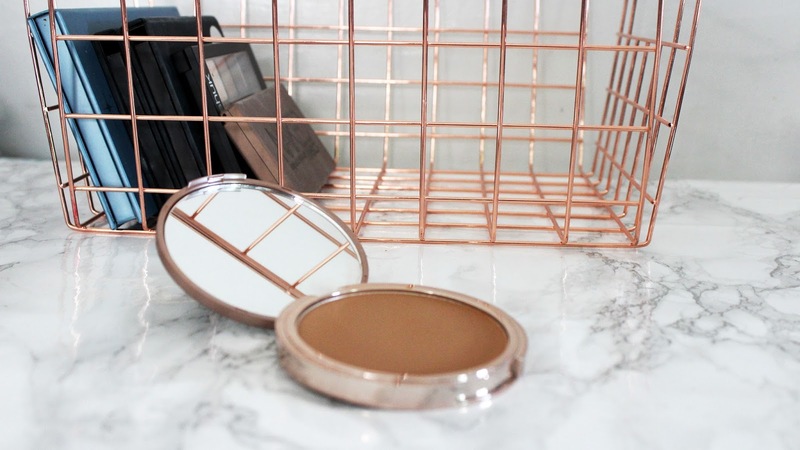 Nail the golden goddess look every time with Beached Bronzer. Dust this silky powder on your face or all over your whole body—and look like you spent a week hanging out on the sunny beaches of Fiji (rather than in a drab, windowless office). One glance at the artwork on our Beached Bronzer compact, and you’ll feel instantly transported to a tropical island. (Picture yourself on the sand gazing up at palm trees, and you’ll get the idea.) 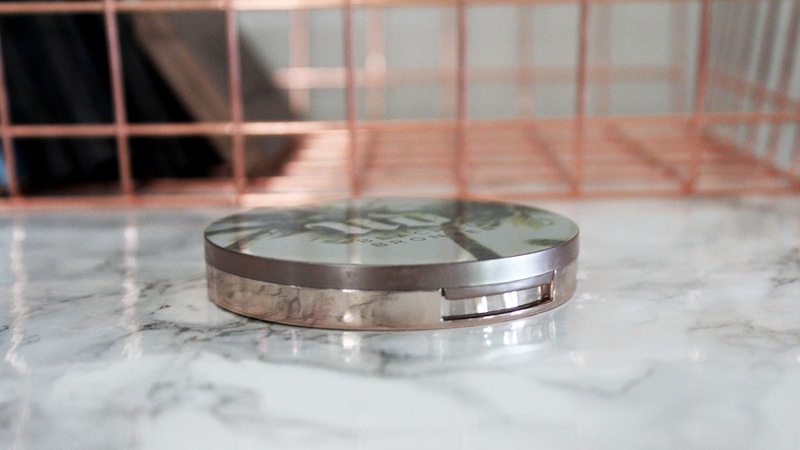 We even included a full-size mirror—perfect for applying on the go." 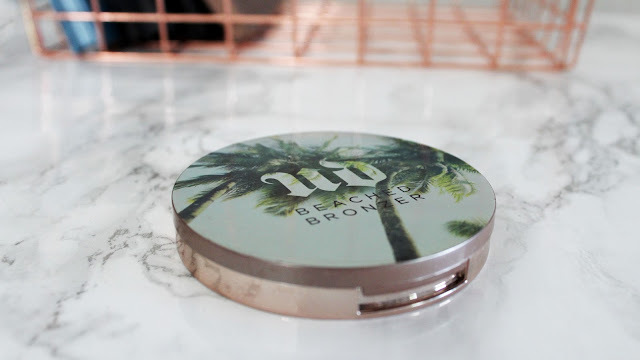 Here is my experience with the Urban Decay Beached Bronzer. 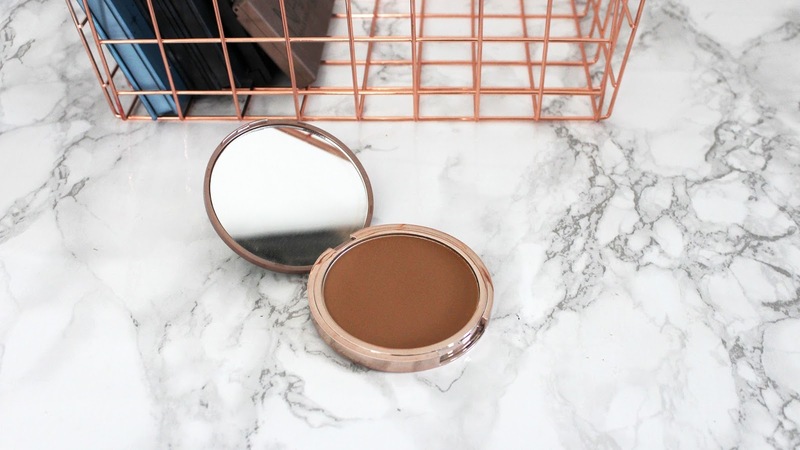 I feel in love with this bronzer as soon as a saw it in the Ulta ad. The packaging is so pretty! When these first came out I didn't have many bronzers so I was all about getting it! 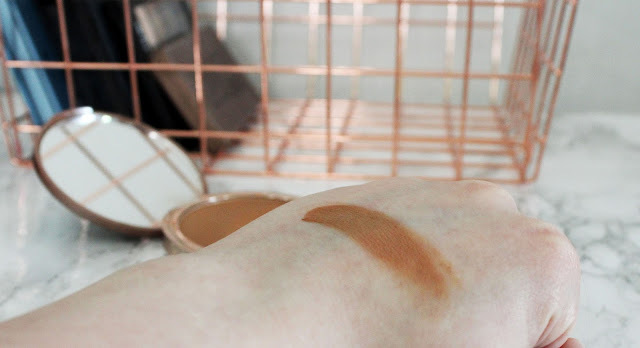 I picked Bronzed instead of Sun-Kissed because in the store it more like more my shade. Even though I'm the palest girl ever and it is the shade medium-dark shade I just like it better. But I really do want to get Sun-kissed in the future. The powder is soft and smooth! It isn't chalky or cakey. 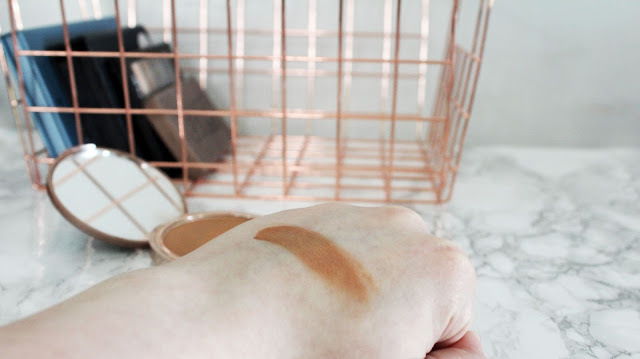 It has a nice pigmentation and is blendable and buildable. The color is warm without being orange. It creates beautiful natural color or build into bold beautiful lines. It wears well and lasted for the 8-10 hours that I wore it. It didn't blot or cake. I wear my bronzer on the natural side and it stayed looking the same all day. I built up the swatch to show the color. 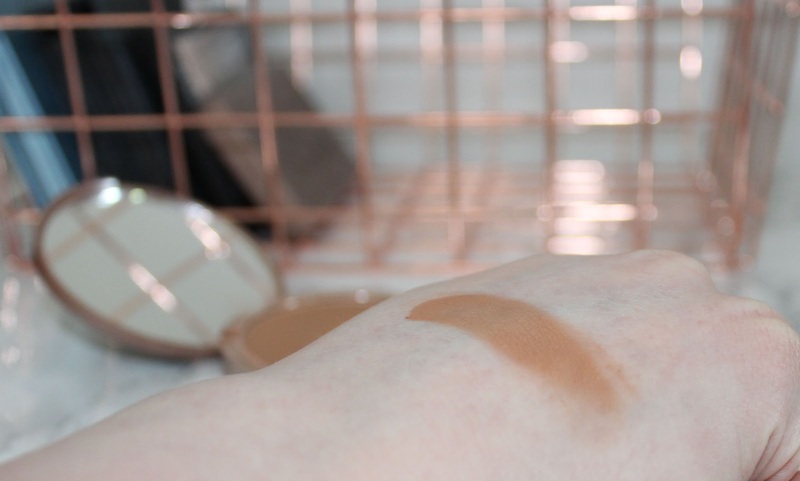 One swap on your cheeks from your brush will not be as dark. Was it worth the hype? I got this bronzer when it first came out. I love it! I hype it up to my sister all the time. I think they deserve more hype. I never hear anyone talk about them! Was it worth the price? $28 for 1 bronzer can seem like a lot but this is a 2 inch round pan and it is a really great bronzer! I think it's worth the money. It is an amazing bronzer! 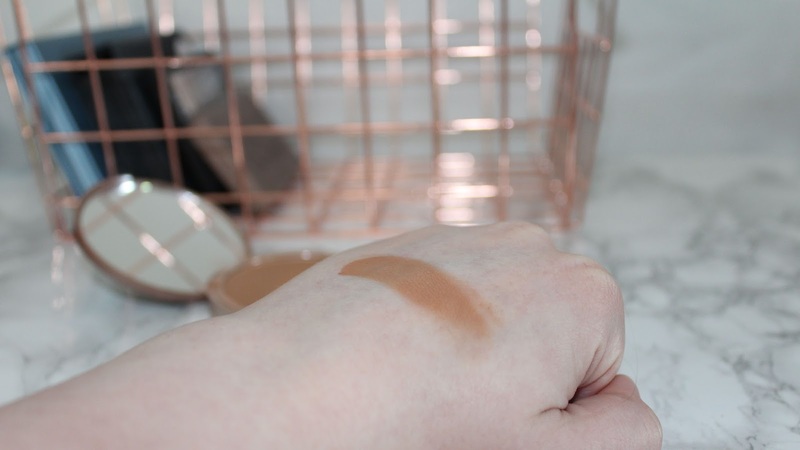 This bronzer is soft and smooth with great color that isn't orange. It blends and builds well and looks great! 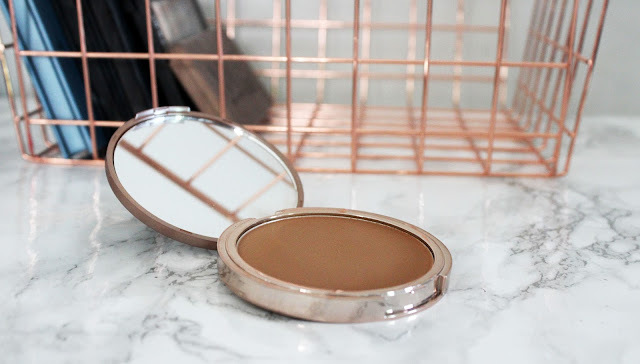 It is one of my favorite bronzers! I 100% recommend it! That's it for this review. Thanks so much for giving it a read! I hope you enjoyed! 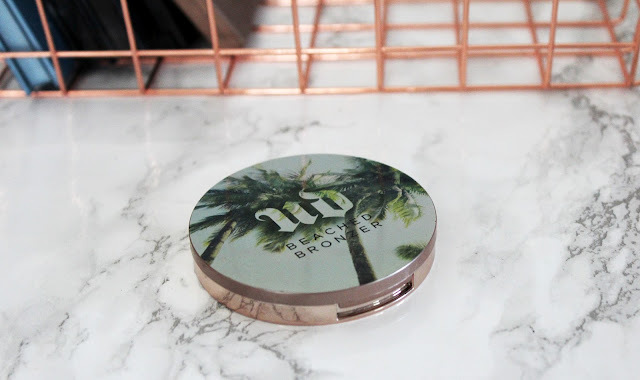 Have you tried the Urban Decay Beached Bronzer? What did you think? Let me know your thoughts in the comments below! Photo Credit: All photos taken by me with a Canon T5 with a 18-55mm lens and edited by me in Photoshop. I bet I'm paler than you! 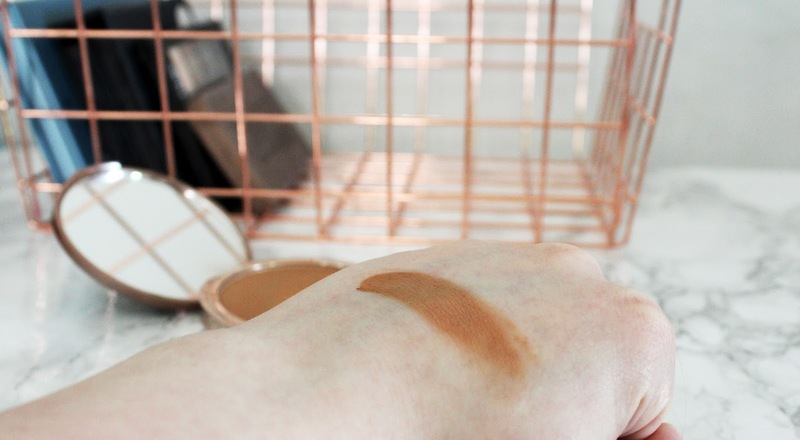 I struggle with bronzers because of that but this one looks pretty good. Cute packaging too!